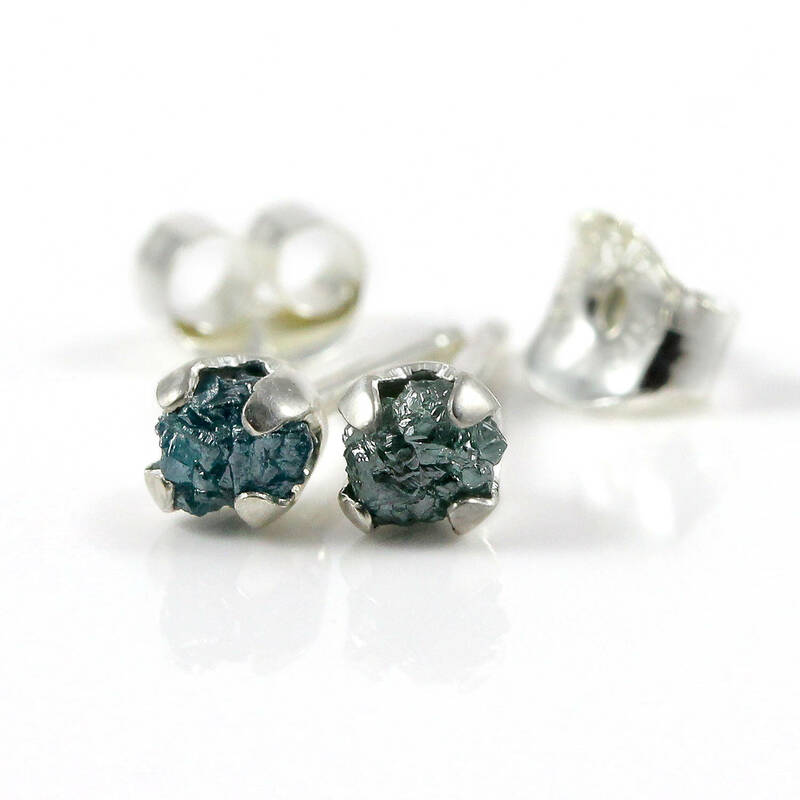 This listing is for phenomenal blue rough diamond earrings. 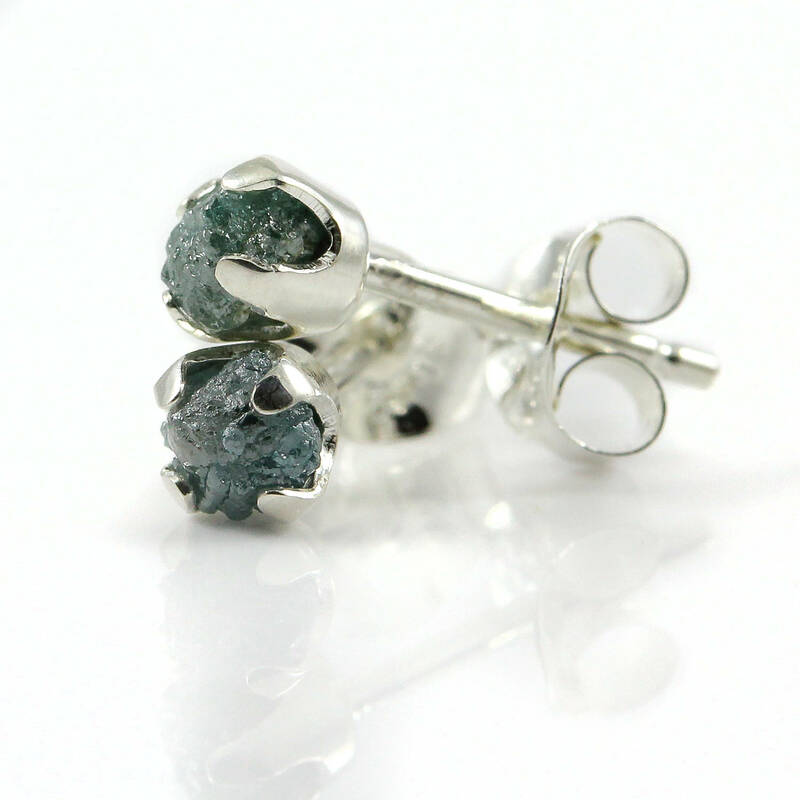 These precious, rare blue and uncut raw diamonds are difficult to find and have amazing strong color and diamond sparkle. 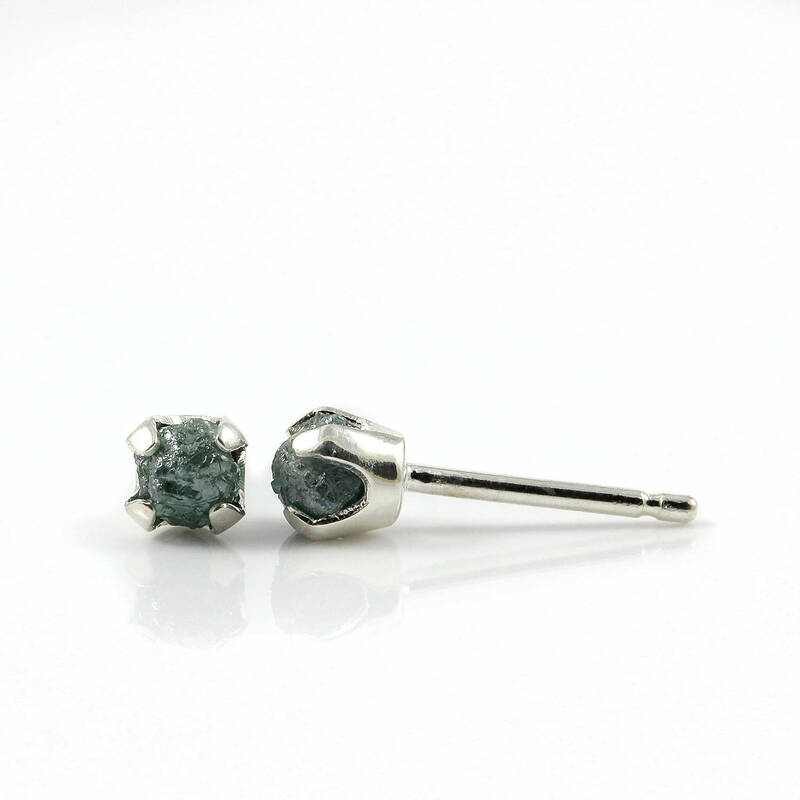 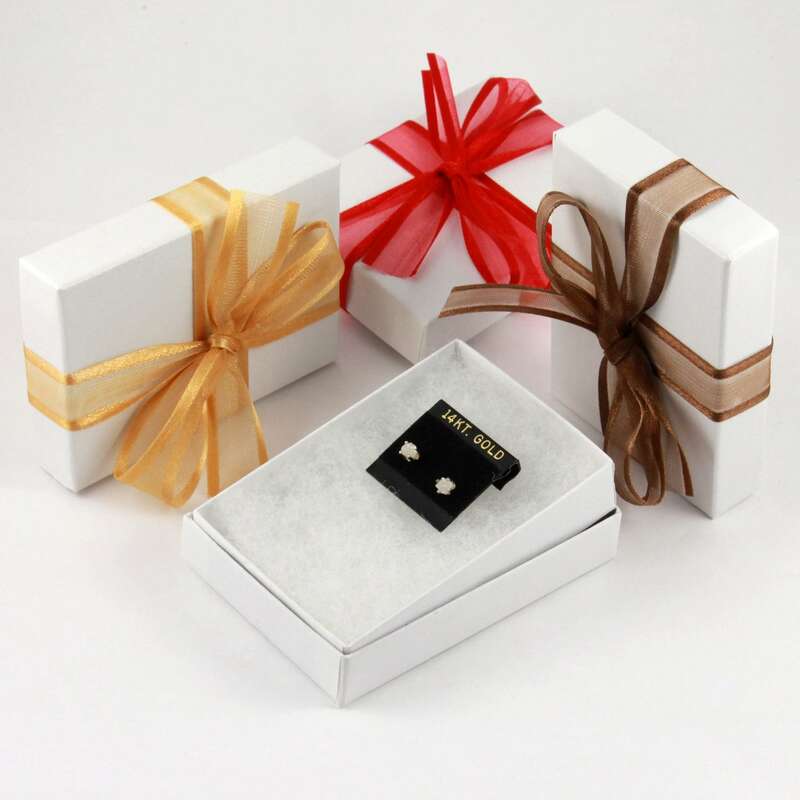 The stones are set on 4mm Sterling Silver four-prong studs. 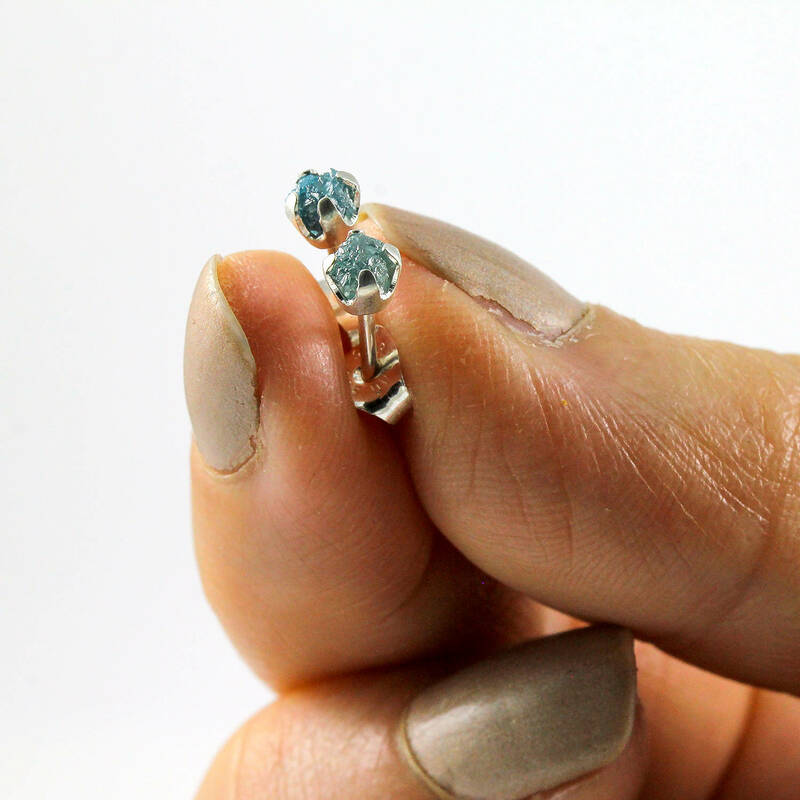 They measure approximately 3.5 mm in size with total weight of 0.7 ct.